Hip-hop pioneer/host of first internationally telecast hip-hop music video show Yo! 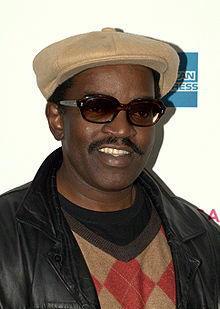 MTV Raps, Fab 5 Freddy, will make his directorial debut with documentary Grass Is Greener. The documentary that is set to premiere on Netflix around April 20th will explore the racially-charged history of the War on Drugs, specifically marijuana. It was reported by Rolling Stones that the film mostly uses growing legalization efforts as a springboard to discuss the problematic history of the War on Drugs, specifically how the criminalization of marijuana was used to destroy the black and Latino communities that exist in the United States. Though legalization is a good effort in correcting past wrongs, Grass is Greener also delves into the blatant racial disparities that have, unfortunately, become a hallmark of the legal weed industry.